With snow falling in Park City this weekend, here is an explanation of Park City School District’s school closure procedures. Parents and staff should become familiar with the guidelines and are encouraged to review them at the start of each winter. The decision to close school, delay start time, or release students and staff early can only be called by the superintendent to reduce confusion between schools and programs; this includes cancellation of any elementary after school programs. When school closes early due to weather, all evening activities will be cancelled, with the exception of high school athletics and activities, which will be determined by the superintendent and athletic director. Sometimes there are exceptions to this rule; and we will notify you of these situations as they arise. By policy, head secretaries and 12-month employees, which includes principals and assistant principals, are expected to report to work as soon as it is safe to do so. This expectation is based upon the issue that we typically have families who do not receive notification and may show up to school. We are NOT obligated to keep students, but need to contact parents or an emergency contact to get them home safely. The decision to close school for the day or release early is one that is made with much thought and consideration. The administration takes into account many different factors including the safety and well being of our students and staff. We look at the weather conditions, precipitation and temperature, based on information gathered from the National Weather Service (NWS), local road conditions provided by UDOT and discussion with the city and county transportation officials. Cancellation/Early Release of School: Parents will be notified as early in the morning as possible, often by 6:00 a.m., through the use of PCSD Chat and the local news media. Early release from school will be determined as early in the day as possible based on information gathered from The National Weather Service. In the case of a two-hour delayed start, morning preschool would be cancelled; afternoon preschool would be held. Staff would be expected to be on time and ready to work. As for food service, breakfast would NOT be served, but lunch would be provided. For a snow day where school is canceled, 12-month employees are required to report to work as soon as it is safe to do so. For an early release, the decision to close school or release early due to the weather is made by the superintendent in consultation with the administrative team, and UDOT. The safety and well being of our students and staff is at the forefront of the decision. All staff are required to remain at their work location until all students have been picked up or until released by the superintendent. For a late start where the start of school is delayed by an hour or two, employees would come in at the later time — so a two hour delay, employees come in two hours later. In the case of a two-hour delay, morning preschool would be cancelled; afternoon preschool would be held. Staff would be expected to be on time and ready. As for food service, breakfast would NOT be served, but lunch would be provided.In most cases employees will be working their normal duties once they arrive at their work locations, although they may be asked to help out at schools with other duties if needed. 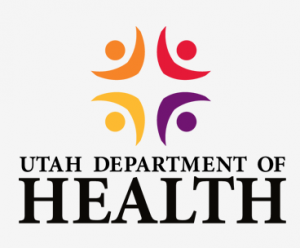 The Utah Department of Health (UDOH) announced today, Nov. 30, that suicides among Utah youth aged 10-17 from 2011 to 2015, increased 141.3 percent, compared to an increase of 23.5 percent nationally. Suicidal ideation and attempts among Utah youth also increased during this time period. In Summit County, youth suicide attempts increased by 3 percent (826 youth). The UDOH requested help from the U.S. Centers for Disease Control and Prevention (CDC) to better understand the factors leading to this increase. A team of Epidemic Intelligence Service (EIS) officers from the CDC was deployed to Utah to conduct an independent epidemiologic investigation, also known as an Epi-Aid, of this urgent public health problem. The Epi-Aid team worked closely with staff at the UDOH to analyze data from seven major data sources to better determine trends, common precipitating factors for suicide, and risk and protective factors for suicidal behaviors unique to Utah youth. From 2011 to 2015, 150 Utah youth aged 10-17 died by suicide, the majority of which were aged 15-17 years (75.4%), male (77.4%), and non-Hispanic white (81.3%). More than a third (35.2%) of youth who died by suicide had a mental health diagnosis and nearly a third (31.0%) were depressed at the time of their death. Those experiencing suicidal thoughts can reach out for free, confidential help 24/7 by calling the National Suicide Prevention Lifeline at 1-800-273-8255 or visiting suicidepreventionlifeline.org. The SafeUT Crisis Text & Tip Line app is also available for download. Suicide prevention resources for LGBTQ youth are available at https://www.thetrevorproject.org. In addition to mental health concerns, family relationship problems, other forms of violence such as bullying at school and electronic bullying, substance use, and psychological distress were common risk factors in youth suicides. However, supportive family, community, and peer environments were protective against suicidal ideation and suicide attempts. The Epi-Aid team also compared the three most commonly implemented suicide prevention programs in Utah schools – QPR, Hope Squads, and Hope for Tomorrow – to national recommendations for suicide prevention. None of the three programs have been rigorously evaluated for effects on suicidal behavior, although findings from less rigorous evaluation show some preliminary positive results. Suicide is a complex behavior with multiple risk and protective factors. “No one prevention strategy will work to prevent all suicides. However, implementing comprehensive, coordinated prevention programs will be effective and likely reduce suicidal behaviors among Utah youth,” said Myers. To get involved in suicide prevention efforts in Utah or to find a suicide prevention training near you, visit https://utahsuicideprevention.org. A three-page summary report of the findings is available at http://ow.ly/4rME30gTMBl. The complete CDC investigation report is available at http://health.utah.gov. The 429 members of Trailside Elementary’s Mileage Club have already logged 2,924 miles so far this year. On Nov. 21, the students logged 140 miles, despite the rain and the wind. Parent volunteers help set up and take down, cheer runners on, hand out awards and track laps. The Mileage Club offers students the opportunity to build self-esteem, improve their health, and experience their own personal power. Based on a non-competitive philosophy, the Mileage Club focuses on the completion of both personal and collaborative goals. 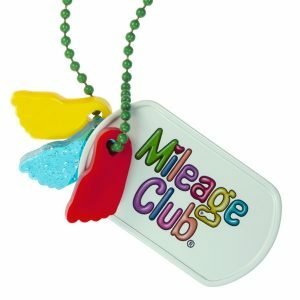 This is the last week of the Mileage Club, with runs planned for Tuesday and Thursday (Nov. 28 and 30), from 11-12:30 p.m. Once students have completed four laps they receive a charm. This week’s charm is a snowman. Out-of-district students who are currently attending PCSD schools will be allowed to remain within the school system, but if they are moving from one school to another in 2018-19, they will need to submit an open enrollment application. The district currently has 168 out-of-district students attending its schools, 33 of which are children of employees. The board appointed Erin Grady as the new board member for District 5, replacing Julie Einhausen who will step down Feb. 5, 2018. Grady has lived in Park City for 34 years and currently serves as co-president of the PTA at Parley’s Park Elementary. She is a board member of PC READS and the Figure Skating Club of Park City. For 12 years she served as communications manager for Deer Valley Resort. The board voted to close all PCSD schools to open enrollment for the 2018-19 school year. Out-of-district students currently attending PCSD and moving to a different school in 2018-19 will need to submit an open enrollment permit. No new out-of-district students will be accepted in the district next school year. -Superintendent Ember Conley reported on her visit to the Western States Resort Superintendent Conference in Telluride, Colo. Participants discussed mental health, affordable housing for staff, bonding, student incentive programs, and staff recruiting. -The Superintendent said the district is currently evaluating three certified educator evaluation systems, and is beginning Open Office Hours every other month starting Nov. 29 from 2:30-4 p.m. in the Board Rooms. -Dr. Conley reported that the administration has reviewed protocols and policies related to the district’s emergency plan and is making improvements to the existing plan. Ben Kahn, representing the Park City Education Association, said the association’s membership has grown to 276 members, an increase of 36 this year. He said PCEA has an active interest in supporting provisional teachers, retaining excellent employee, and adopting an objective and equitable certificate evaluation system. Kahn said PCEA is anxious to clear up lingering issues of off-contract pay and to have a voice at the negotiating table. -Melinda Colton, Director of Communications, noted the newsroom blog has moved to the district website. 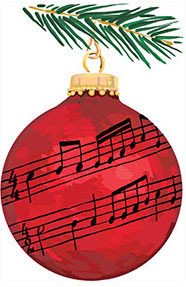 After Thanksgiving it will be publicized to parents and the community. -PCSD Chat was launched Oct. 25 and texts were sent to 5,345 parents. Each was asked to rate the district communications on a scale of 0-10. With a response rate of 67.4 percent, the overall rating was 8. In addition, the district received 1,799 communication compliments and/or suggestions for improvement. -Colton is working with AtlasRTX to develop a texting system that can text communications to parents faster. -Eric Esquivel, Latino Outreach specialist, provided the Board with a written report of the the Latino communications efforts, by school. Business Administrator Todd Hauber reviewed the fiscal year 2019 budget considerations with the board, including the anticipated tax increase identified in last year’s budget cycle. Dr. Conley said emergency procedures will be updated to include a clear protocol for students staff housed in portable classrooms. She commended law enforcement for its quick action and arriving at Kearns Campus schools within five minutes of a recently reported incident. This incident showed the need for clear communication to students who are moving between buildings on the Kearns Campus. Staff need additional training, and technology needs to be updated in parts of the high school. She said students need to be trained to text appropriate information to their parents. Our emergency posters need to be posted in every classroom in PCSD schools, both in English and Spanish, and a smaller postcard version will be printed to give to visitors in the building. Board President Andrew Caplan suggested the board discuss hiring a consultant to look over PCSD’s safety protocols and assist staff with additional training and drills. The superintendent said she has already reached out to three consultants to see what services they can offer the district. The board asked that district safety policies be updated to include specific penalties and repercussions for staff who fail to follow proper protocols. Board member Julie Eihausen asked the board to be careful about any punitive action and to make sure there is balance. Caplan said if the board is going to ask this of employees, it needs provide proper training. Board member Petra Butler said we need to hire staff who make good sound judgments and said the district does not want to be in a situation where an administrator doesn’t know what to do. Board Vice President JJ Ehlers requested substitute teachers also be trained on emergency protocol and safety procedures. The board approved the hiring of Collaborative Learning Network to guide the district on the process for master planning. A committee comprised of a board member, community member, and business administrator reviewed RFPs and submitted a recommendation. -Ann Futch asked the board why the district has not clarified its decision planning process and improved communication with staff. She was a member of the 2015 Teachers Survey subcommittee that made recommendations for improvement to the district. -David Hickman reported his daughter’s class at McPolin Elementary was sent back outside to their portable classroom during the lockout. He wants the district to acknowledge its mistakes with the recent incident and encouraged more training and drills. Mission: The mission of Park City School District is to inspire and support all students equitably to achieve their academic and social potential. Vision: Park City School District is student-centered​ ​with a focus and emphasis on the whole child. Our students are safe, supported, engaged, challenged, and healthy. -Academic​ ​Success: We are committed to engaging all students to reach their full potential no matter where they are in their academic journeys. -Leadership: We are committed to continuous development, accountability, and transparency. -Excellent​ ​Personnel: We are committed to hiring the best and the brightest staff in a transparent and fair manner. -Communication: We are committed to communicating with all stakeholders in an open, timely, and consistent manner. -Community​ ​Alliances: We are committed to a culture of collaboration with our community partners. 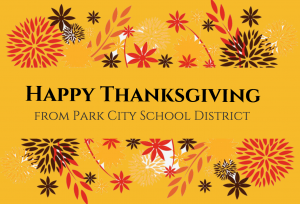 OUR MISSION: The mission of Park City School District is to inspire and support all students equitably to achieve their academic and social potential. OUR VISION: Park City School District is student-centered with a focus and emphasis on the whole child — our students are safe, supported, engaged, challenged, and healthy. Academic Success: We are committed to engaging all students to reach their full potential no matter where they are in their academic journeys. Leadership: We are committed to continuous development, accountability, and transparency. Excellent Personnel: We are committed to hiring the best and the brightest staff in a transparent and fair manner. Communication: We are committed to communicating with all stakeholders in an open, timely, and consistent manner. Community Alliances: We are committed to a culture of collaboration with our community partners. Strategic Goal 1 (Academic Success): Develop the potential of every student through data-driven and best learning practices to be academically successful and prepared for life beyond graduation. Provide safe, optimal and equitable learning environments for all students and staff. Strategic Goal 2 (Leadership): Provide district wide leadership that exhibits transparency, clarity and accountability at all times and in all situations. Strategic Goal 3 (Excellent Personnel): Create a culture of respect for all employees through recruiting, retaining, and providing professional development, while building the district’s leadership capacity. Strategic Goal 4 (Communication): Continuously deliver efficient, effective, and transparent communication about the district. Strategic Goal 5 (Community Alliances): Partner with families and the community for the general well-being and education of our collective student base while including a culture of inclusiveness and respect for the rich diversity of our community. 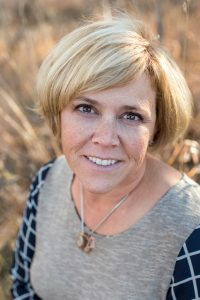 The Park City School District Board of Education appointed Erin Grady as the new board member for District 5. She replaces Julie Einhausen who will step down Feb. 5, 2018. Grady has lived in Park City for 34 years and currently serves as co-president of the PTA at Parley’s Park Elementary. She is a board member of PC READS and the Figure Skating Club of Park City. For 12 years she served as communications manager for Deer Valley Resort. Grady earned a bachelor’s degree at the University of Utah in mass communications, with a minor in business management.